Divide the cranberry juice and crushed ice between 6 Champagne flutes. Top each with the sparkling wine and pomegranate seeds. 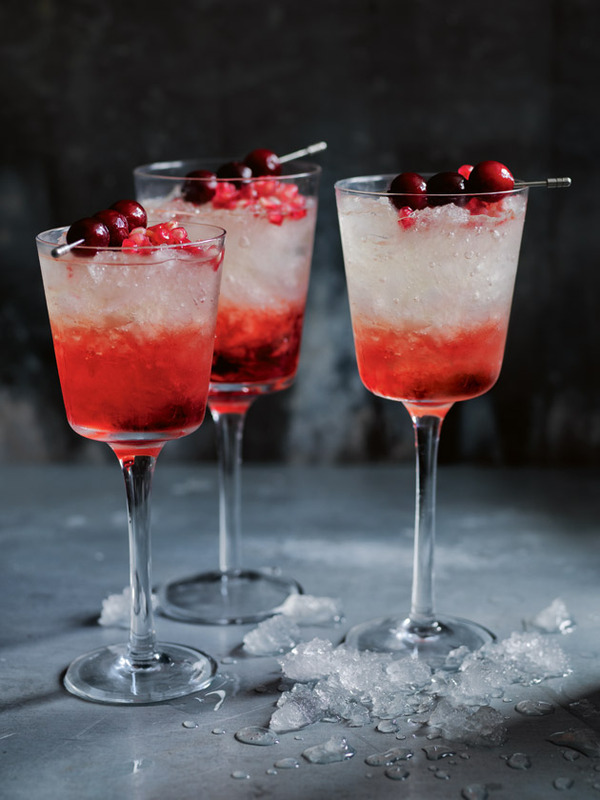 Thread the cranberries onto small skewers and use to garnish the glasses to serve. Serves 6.